Are you ready for some shimmery shadows? 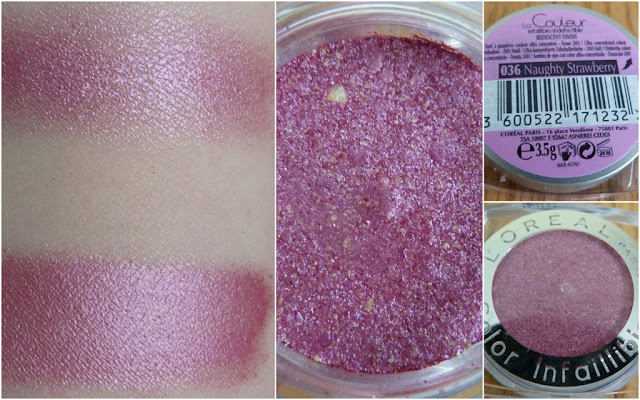 The latest Color Infallible eyeshadows (€10.79) from the L'Oreal Miss Candy collection are bright, colourful and pretty! I love their packaging, the little dinky jars with the plastic cap inside to keep the loose powder pressed down. You can apply them wet or dry and they've a really creamy texture that makes application and blending a cinch. 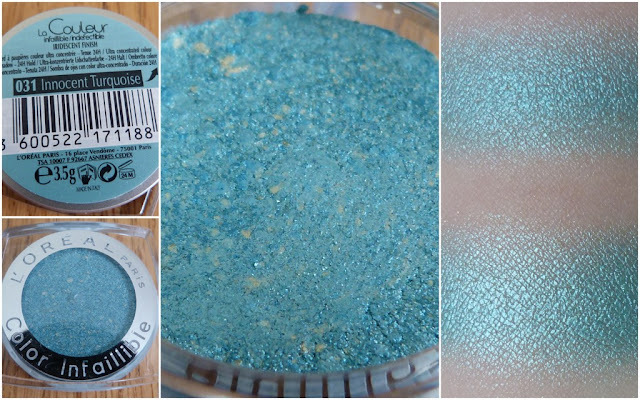 I was sent three shades to play with and first up is Innocent Turquoise, a cool almost icy blue with little flecks of gold dotted throughout the pot. However, when applied, the gold isn't obvious and just adds more interest to the already gorgeous shade. Next is Naughty Strawberry which is a mid toned pink that leans towards plum with gold flecks dotted throughout the pot. Like Innocent Turquoise, once it's applied, the visible gold disappears and adds dimension to the already fabulous shade. Finally is Sassy Marshmallow. This is the most multi-dimensional of the three in the jar. 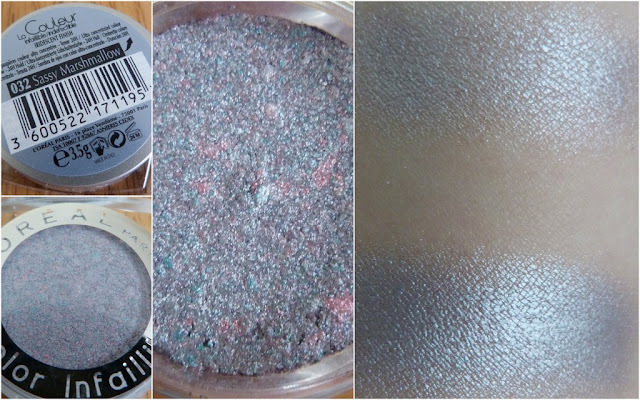 You can see hints of blue, pink and purple running throughout the shadow but once it's applied, you're left with an icy silver that'll brighten your eyes up. I think a shade like this would be lovely even just on the inner corner. The Color Infallible shadows can be applied for a sheer wash of colour, packed on heavier or applied wet to give you a stunningly opaque shimmery eye. I'm going to have to pick more of these up for sure. They last all day without any creasing or fading and are fantastic eyeshadows to play around with.